Etsy Made Local is almost upon us! (Saturday 2nd December at the Devonport Guildhall - see my previous post for more details). 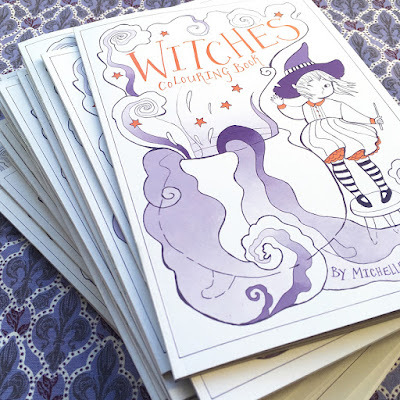 I wanted to offer something else besides my usual greeting cards and prints, so I have made a little colouring book called Witches. I put some of the drawings on social media in October for 'Inktober', and ended up with enough artwork for a small collection. If you'd like a copy, they're available from my stall this Saturday 2nd December at Etsy Made Local. I will be listing them in my online Etsy shop the following week. I have also framed a few of my prints, which will be available from my stall on Saturday as well. Currently I do not offer framing in my online shop due to the difficulty of sending fragile frames in the post, so this is a unique opportunity to pick up a ready-framed one! With just over a week to go until December, it's time to start getting in the festive mood! If you are in Plymouth on Saturday 2nd December, why not come along to the Devonport Guildhall for the Etsy Made Local event. I will have a stall there alongside other Etsy sellers and it will be a good opportunity to pick up some unique gifts. You'll find me selling my usual prints and cards together with a few Christmassy ones! My Christmas greeting cards include a couple of wintry scenes, a little ice skater and some cute gingerbread men. 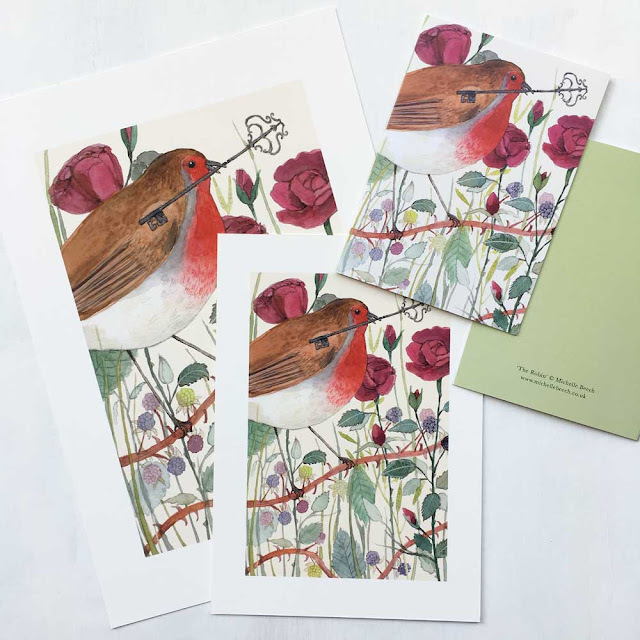 If you can't make it to the event, the cards are all available in my Etsy shop online as well - click here to head over there now. I shall have at least one more blog update before the 2nd December, so come back soon! 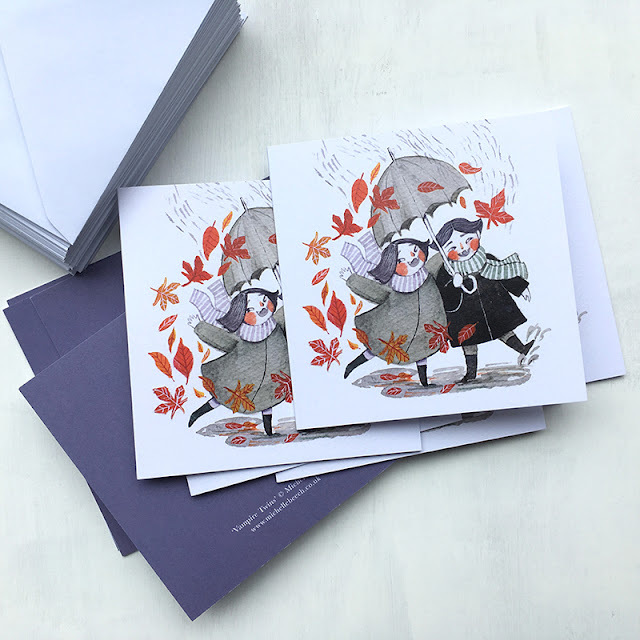 I've started making small print runs of greeting cards featuring my illustrations. 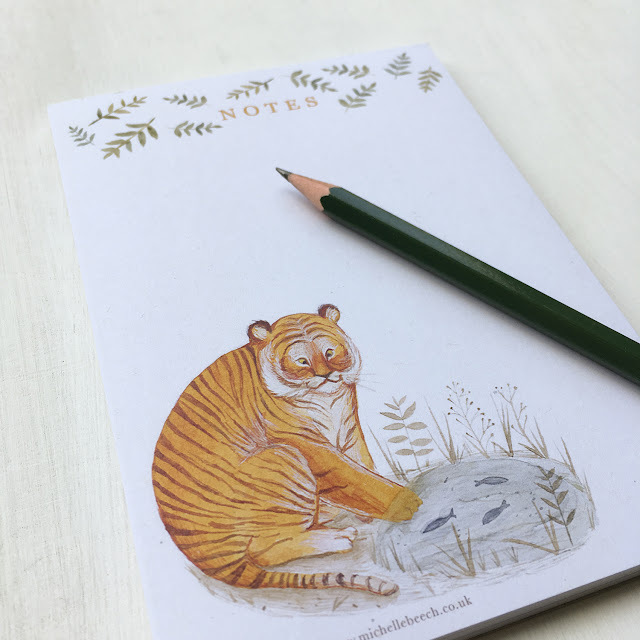 I'll gradually be adding to the range but I would also love suggestions - if you think any of my previous illustrations would make a good card, let me know! 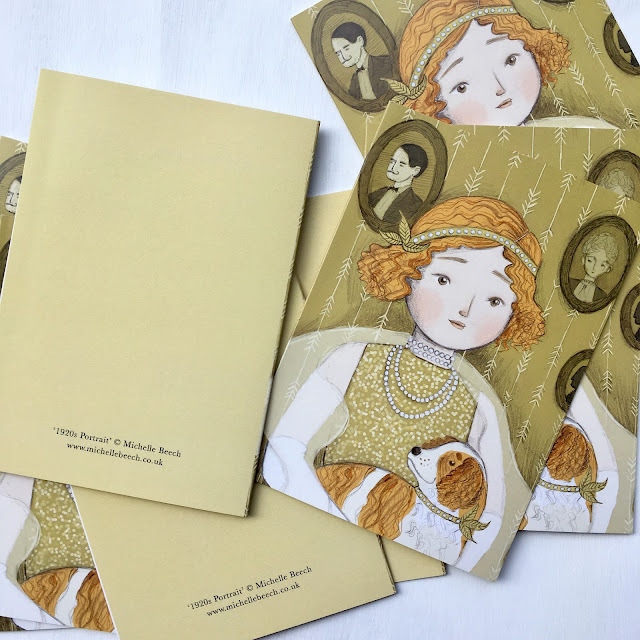 I really enjoyed illustrating a 1920s girl, so I've made her a friend! This illustration is also drawn by hand and coloured digitally, like the previous portrait. Until about a year ago I had never made any art using digital media! I still feel like I have plenty to learn (especially about taking screen breaks - the eye strain..!) but I'm enjoying it. I will be adding this one to the greeting card range soon. I've started producing giclée prints! These will replace the inkjet prints that were previously available in my shop. They are printed with UltraChrome HD pigment inks on 325gsm archival paper. The ink and paper produce a beautiful reproduction of the colours. They are also available in two sizes now! There is the standard A4 and a new A5 size, which is very cute. I have also had some greetings cards printed. Please do take a look at them in my Etsy.